Available for adults, toddlers, and babies, these upcycled sock sets make lounging around ferocious family fun! 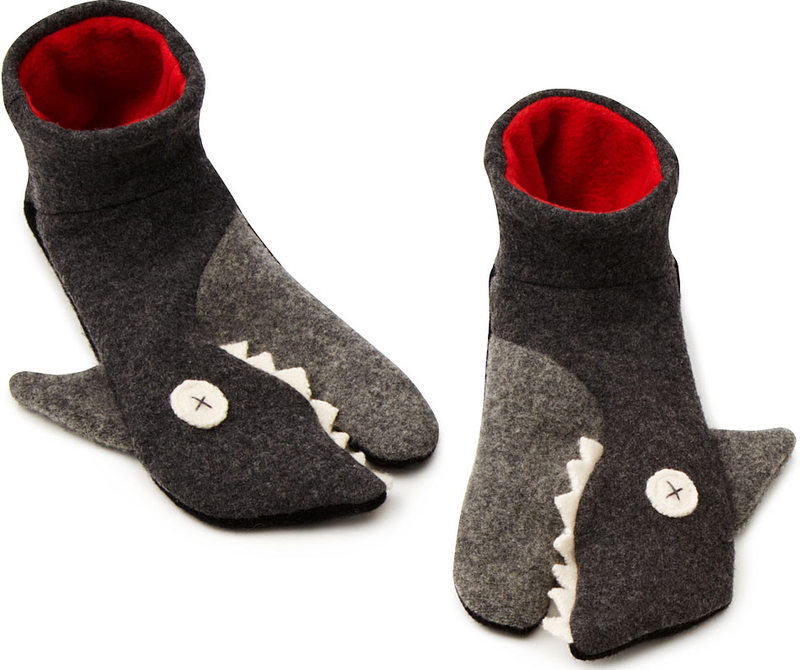 Outside, a fierce shark face nips at your toes, and inside, the cushy polar fleece lining keeps your fins toasty. Grippy fishes swimming on the slipper’s soles provide a slip-free surface, perfect for lurking up behind loved ones for surprise hug attacks! Due to the upcycled nature of the materials, colors may vary between dark grey and bluish grey.